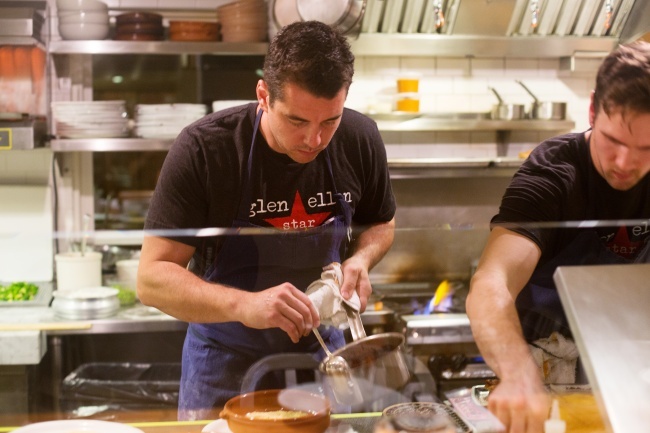 For as long as I’ve lived in San Francisco, September 2015 will mark 3 years, I have heard glowing reviews of Glen Ellen’s Glen Ellen Star Restaurant. 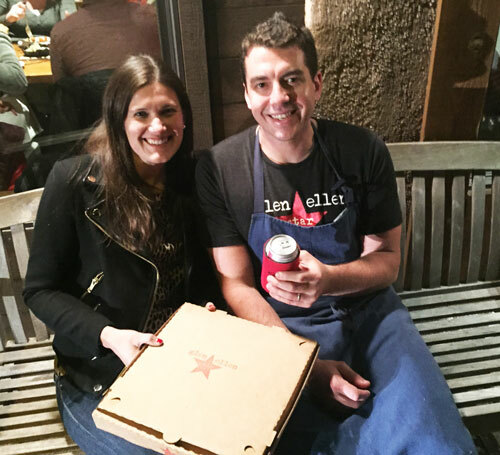 I have always wanted to visit so you can imagine my excitement when The Glen Ellen Star team invited me to join them for dinner. Could it get any better? The restaurant I had always dreamed of dining at was inviting me to visit! I immediately said yes please and started reading up on the restaurant. Besides knowing the restaurant was a must try per the rave reviews I’d heard, I did not realize it was owned by a husband and wife team. 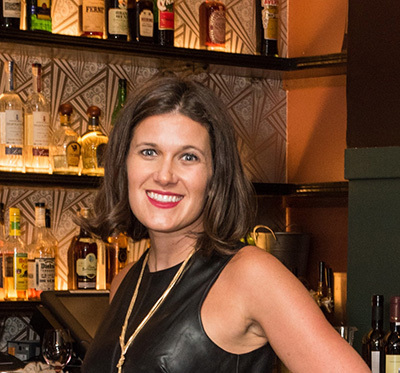 I love to hear romantic success stories as well as support local small businesses. 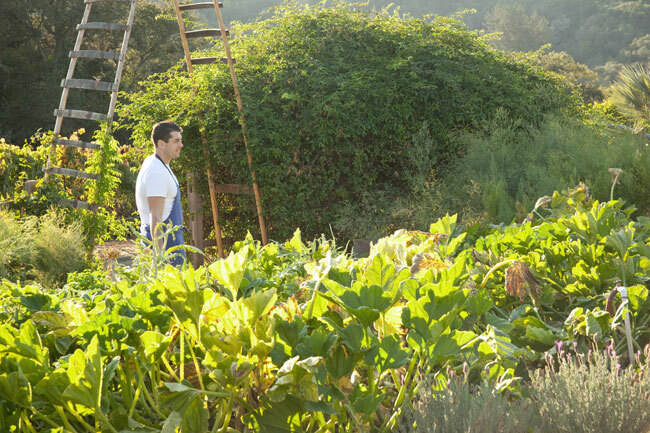 The restaurant is owned and operated by Executive Chef Ari Weiswasser and his wife, Erinn Benziger-Weiswasser It was their mission to “create an inviting, neighborhood-friendly restaurant that consistently exceeds expectations.” With Chef Ari’s background working at New York restaurants including Daniel, Picholine, and Paul Liebrandt’s Corton, and The French Laundry he possessives extensive experience in well-known restaurants which he shares with guests at The Glen Ellen Star. 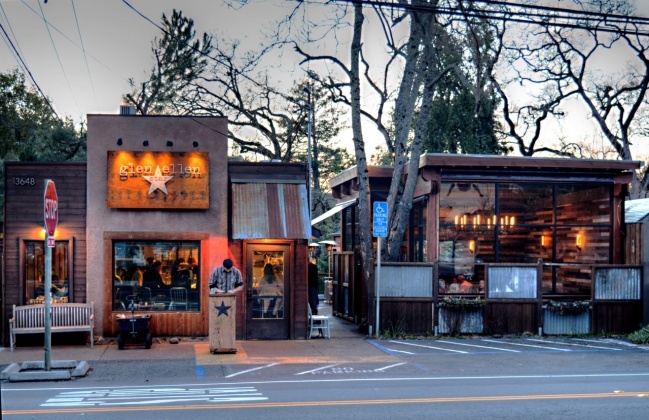 My visit was on a Tuesday evening and if Tuesday’s packed house was indicative of a typical night at the Glen Ellen Star it truly is a hot spot. 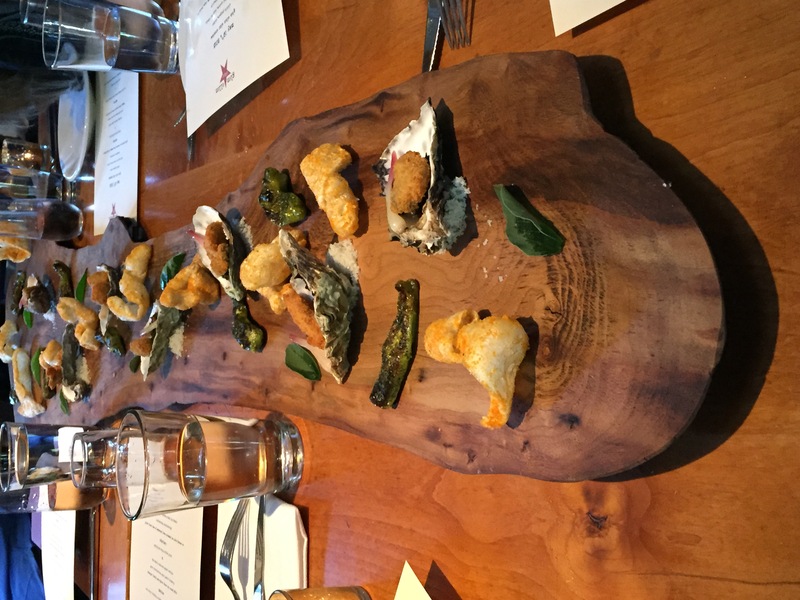 We were welcomed with a gorgeous seafood platter including wood roasted and stuffed shishito peppers topped with shabazi spice, Point Reyes fried oysters with ramp top kimchi and chicharones dusted with swarnadwipa. 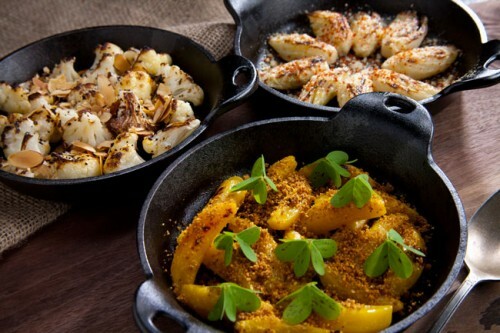 What a yummy way to kick off our meal. 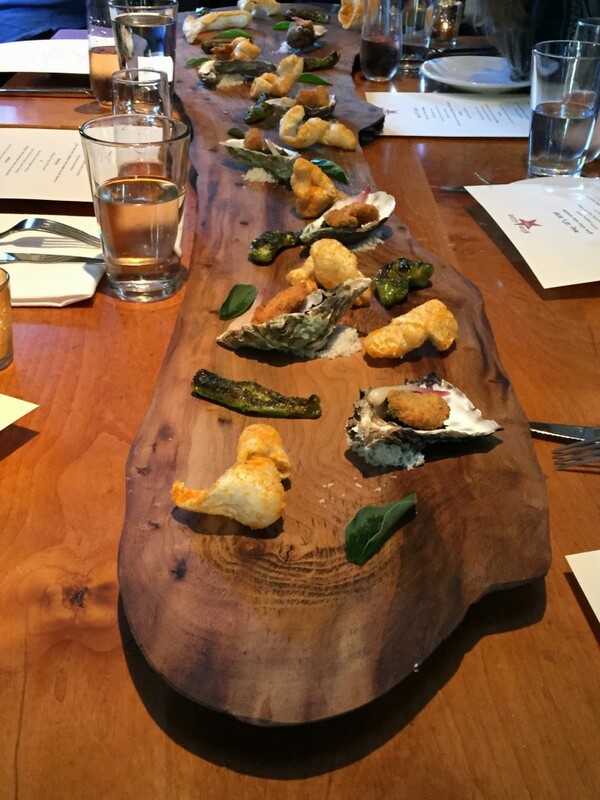 The presentation alone was fabulous, not to mention the tasty bites and light rose pairing. Perfection! 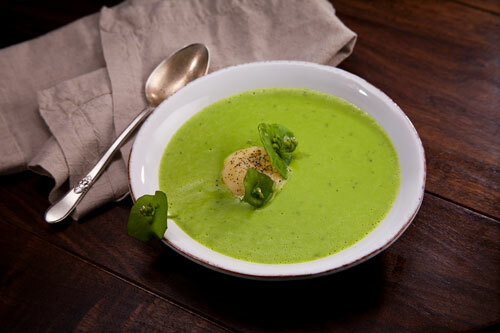 We progressed to a Spring Pea Soup with Ricotta Gnudi and a Kale Salad with Vadouvan Wanuts, Strawberries and a Spicy Peanut Dressing. The Salad was full of flavor tasting as if the greens were just picked from the garden behind the restaurant which is very likely as Chef Ari and his sous chefs are picking ingredients daily or sourcing from local purveyors. I loved the simplicity of the salad and how well the strawberries and walnuts paired with the delicious peanut dressing. With this we enjoyed a Benziger Family 2014 Dry Creek Sauvignon Blanc. Being a lover of white wines, I really enjoyed this Sauvignon Blanc with it’s flavorful crisp taste pairing nicely with the soup and salad. 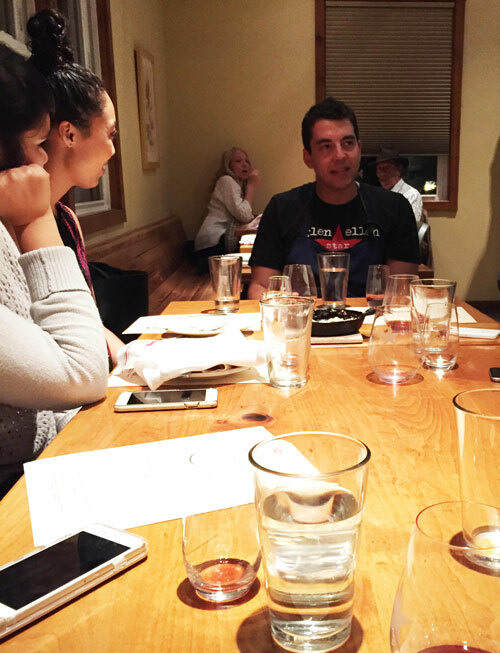 I felt quite spoiled that with each food course we were able to enjoy a specific wine pairing. 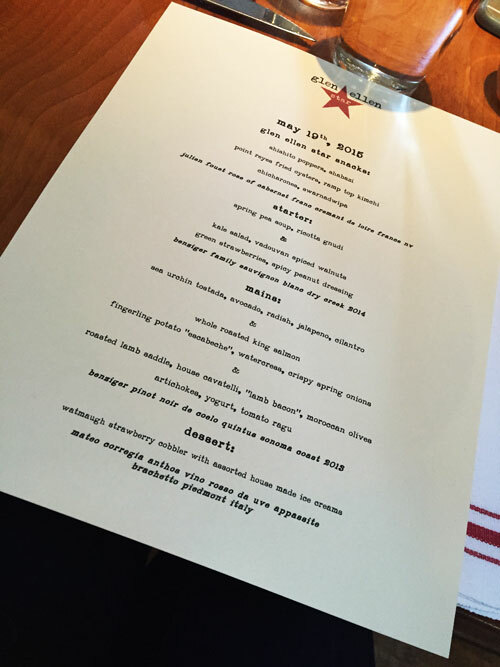 There was clearly a lot of thought and love put into this menu which says a lot about Chef Ari and Erinn. 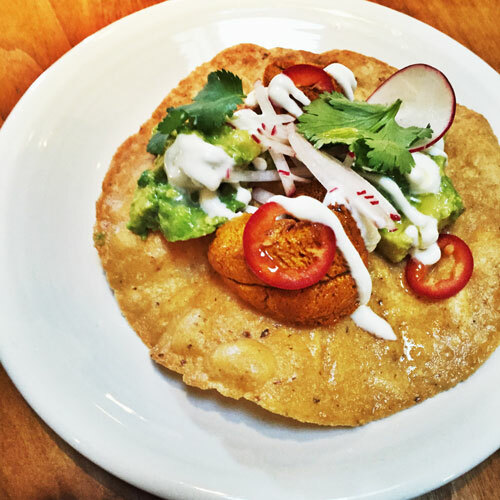 Our mains began with a Sea Urchin Tostada, avocado, jalapeno, cilantro which was so inventive and exciting. Although I’m not a huge Sea Urchin girl, I tried it and still loved this dish!! The tostada, avocado, jalapeno and cilantro were extremely flavorful and delicious. 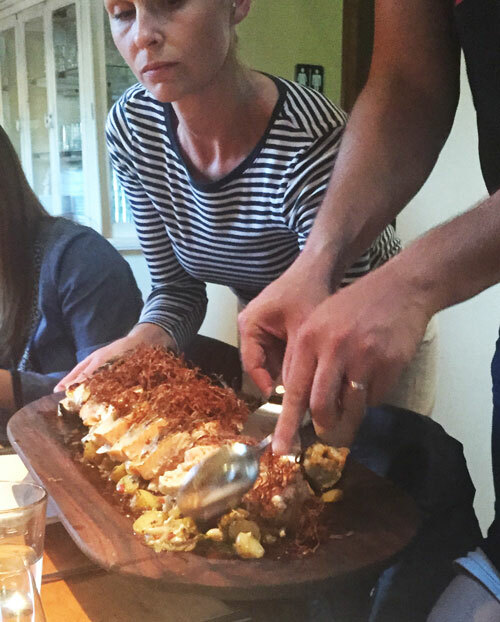 We then enjoyed a Whole Roasted King Salmon, which blew me away. It was cooked on the rare side as Chef Ari explained to us when we joined us at the end of the meal to answer questions and hang out. Another cool experience to have during this meal. 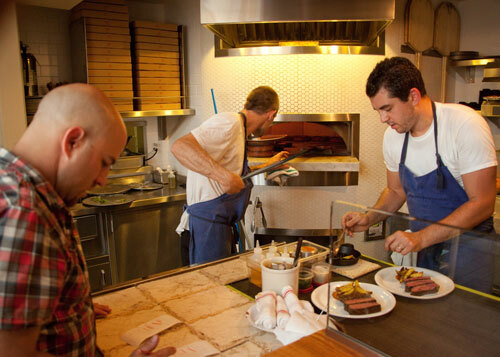 How often are you able to talk to the Chef, hear his thoughts on the menu and really get to know the personality behind the amazing restaurant you’re experiencing. What a memorable experience! 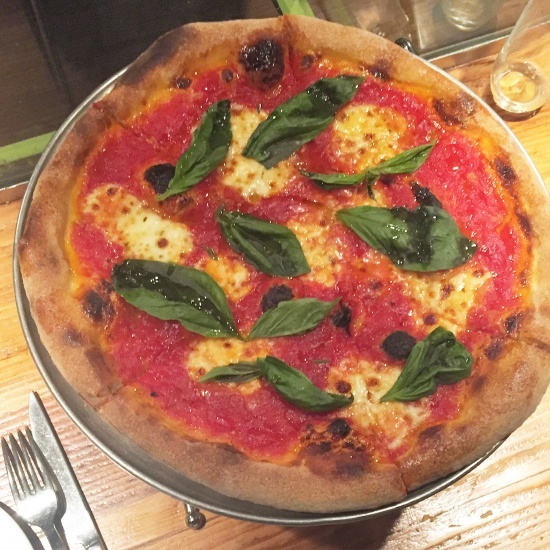 The incredible Pizza I had during another visit. This is a MUST try! 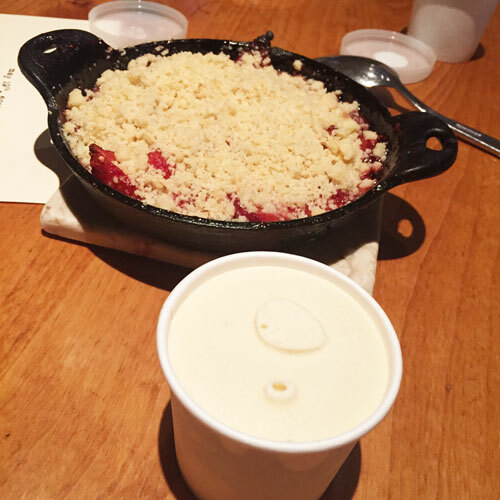 We concluded the meal with a Strawberry Cobbler served with home-made ice cream. 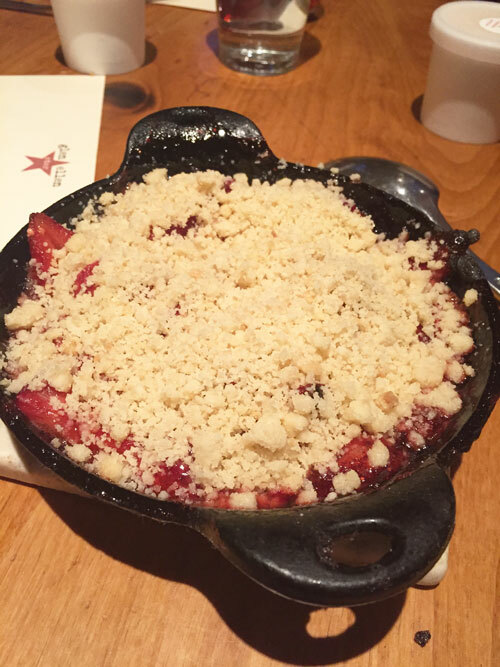 This familiar Americana dessert resonated as something you would find in a neighborhood bakery or cafe, exactly what The Glen Ellen Star is a neighborhood gem. 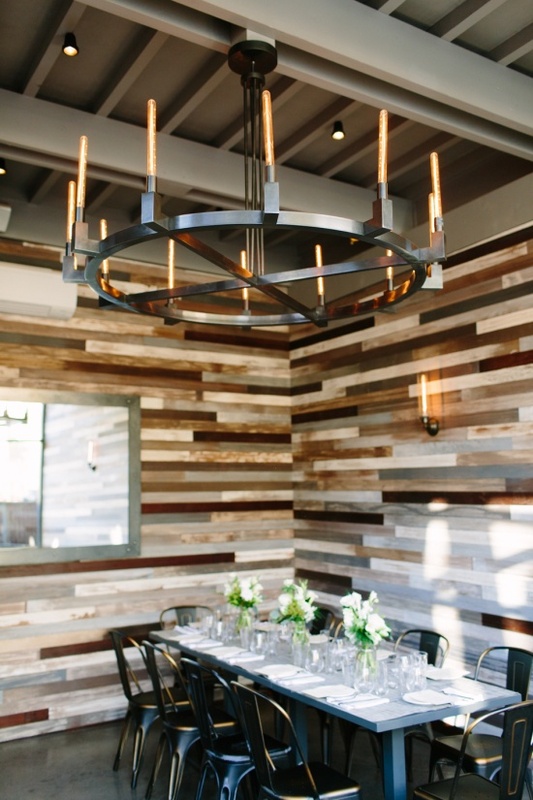 The Glen Ellen Star is a cozy 24 seat restaurant, plus 8 seats at the chefs counter with views of the chef & kitchen from every seat. It’s the type of place where you truly feel at home as if everyone knows your name. If they don’t, they’ll quickly introduce themselves possibly even sending you home with a Roadie Pizza, if you’re lucky! Chef Ari welcoming us and spending the time chatting illustrates how intimate the restaurant is and what they stand for. Ari and his wife Erinn intended for The Glen Ellen Star to be an “inviting, neighborhood-friendly restaurant that consistently exceeds expectations” which is exactly the experience I had. 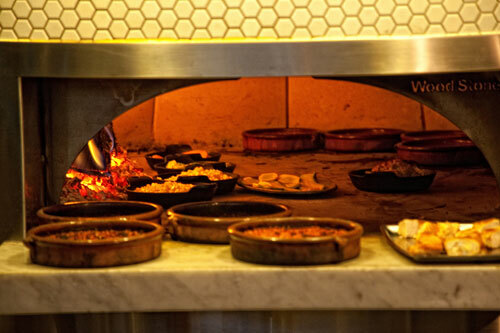 The food was elegant and refined, yet the atmosphere and interaction with the staff made it feel casual and not intimidating or stuffy (as so many fine dining restaurants make you feel). I hope you’re lucky enough to experience this local gem. I promise you’ll be dying to return once you do. 13648 Arnold Dr, Glen Ellen, CA 95442. 707-343-1384. 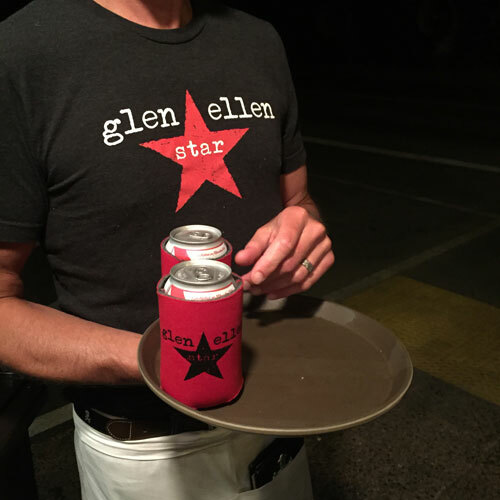 Our goodbye surprise… I could not have been more excited to add a Glen Ellen Star KOOZIE to my collection! 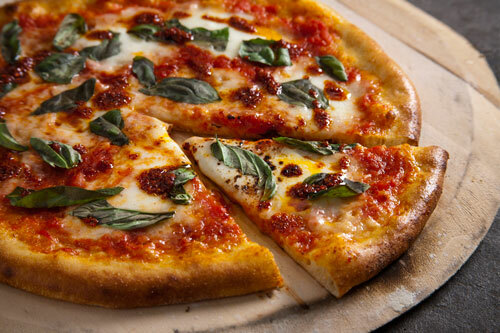 The amazing pizza surprise we each received as we left the restaurant. 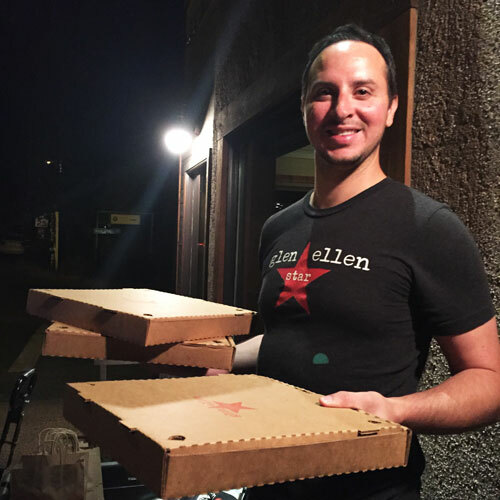 As if the meal wasn’t fabulous enough I was going to have Glen Ellen Star pizza to enjoy as a souvenir. This may be the most memorable roodie I’ve ever had! A huge thank you to Chef Ari and his team for a FABULOUS meal and wonderful experience. Looking forward to returning soon!